It is replaced by the Honeywell Dolphin 9900. The Dolphin 9500 & 9550 series mobile computers deliver unparalleled performance and value for all mobile data collection applications. 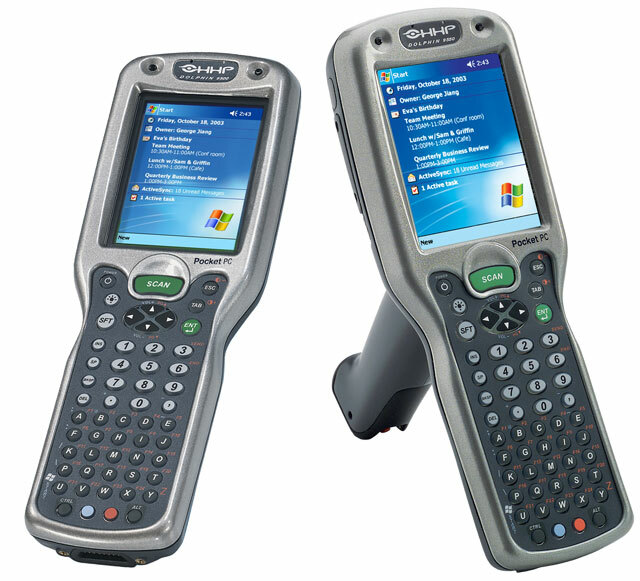 The Dolphin 9500 & 9550 series mobile computers deliver unparalleled performance and value for all mobile data collection applications. Their lightweight, ergonomic, and rugged designs provide the ease of use and operational reliability needed to excel in robust mobile applications such as package delivery, field service, route accounting, transportation, warehousing, retail, and industrial/manufacturing. Includes everything you need: Dolphin 9500 terminal (64MB RAM, 802.11b WLAN communications, GPS/GPRS WWAN radio, 56 keys, color display. Includes Bluetooth, standard grip, standard range imager, & Pocket PC OS. Order cradle, cables & battery separately. See accessories. ), charging/communications cradle, USB cable, US power supply, AC line cord and spare battery charging port. 64MB RAM, 802.11b WLAN communications, GPS/GPRS WWAN radio, 56 keys, color display. Includes Bluetooth, standard grip, standard range imager, & Pocket PC OS. Order cradle, cables & battery separately. See accessories. Dolphin 9500 stylus kit with tethers - 3 pack. Non-Cancelable/Non-Returnable. Stylus, 3-Pack RoHS. For the Dolphin 9500 only. Non-Cancelable/Non-Returnable. Dolphin 7850/9550/9551 stylus kit (3 pack). Non-Cancelable/Non-Returnable.